The Vietnam National Administration of Tourism said it supports a cable-car project for Son Doong Cave to meet demand by tourists to visit the world's largest cave. 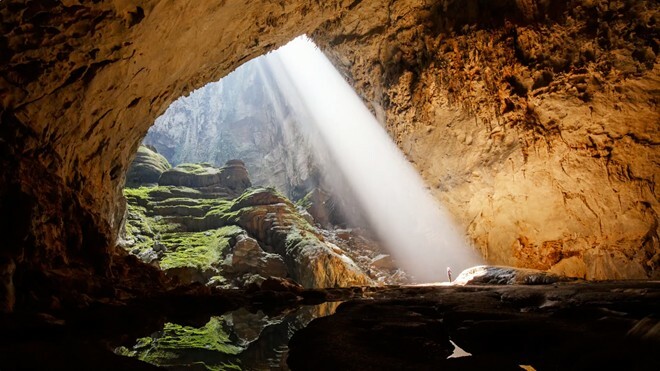 Nguyen Van Tuan, chief of the Vietnam National Administration of Tourism, said Son Doong is now an international brand for Quang Binh Province, but concerns about the cave's delicate ecosystem have meant severe restrictions on the number of people who can visit at any one time. "Tourists will be able to enjoy an overview of Phong Nha-Ke Bang National Park from the cable. When they reach designated areas, they can explore in limited areas," he said. When the project was announced last year, many worried that it would affect the natural beauty of the cave and its environs. The proposed 10.6km-long cable system can carry 1,000 visitors an hour. Authorities and investors said adventure tours would not be affected, as 80 UNESCO-recognised sites around the world have similar cable systems. The cable will improve the provincial tourism industry and create jobs for thousands of people. Moreover, the cable system will also help forest rangers protect the site from illegal loggers and fire.